Authorized permittee of the Bodie Foundation. 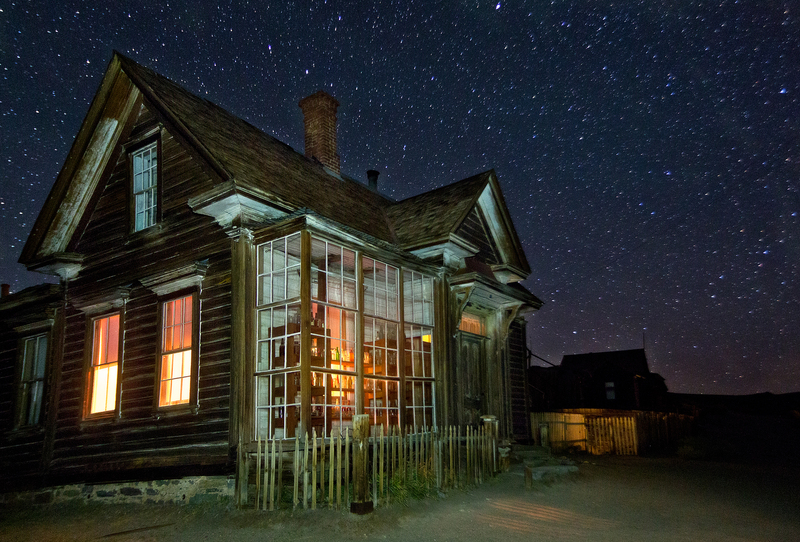 Permit fees for the Bodie Foundation are covered in the workshop price and are essential in helping to preserve this state historic park. The pun is intended. 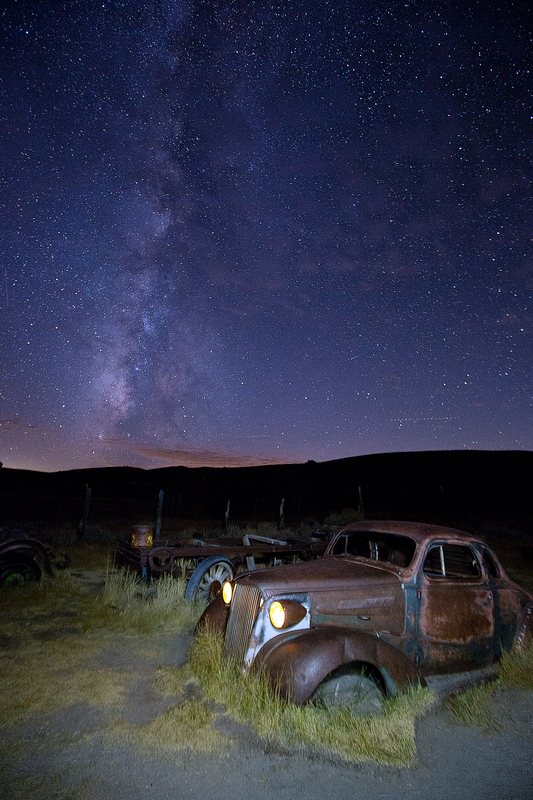 Night photography is tricky, and left to figure it out on your own can be a frustrating endeavor for sure. 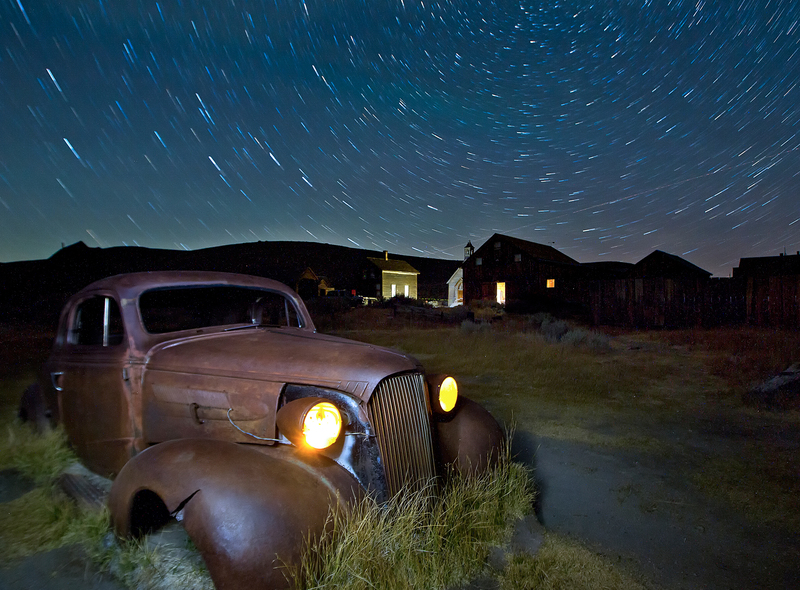 Join the instructors of the Aperture Academy for an in-depth workshop that will teach you how to capture star trails, the Milky-Way, light painting and more! Already have some experience? No problem -- with our small group everyone can learn at their own pace and skill level. Required: You'll want, and need, the full power and creative control of a Digital SLR or Mirrorless Camera to get the most out of your learning experience on this workshop. We teach all brands and models of Canon, Nikon, Sony, Pentax and more! Be sure to have extra batteries with you, and keep them fully charged, as long exposure photography takes more power than traditional photography. Required: For best results, we strongly recommend a zoom lens between 14-24mm. If you have it (or choose to rent it) a fisheye would also be an excellent lens for this workshop. Required: Stability is everything in Photography! Using a sturdy tripod will help improve your compositions and get sharper images. A tripod also helps you have both hands free to focus (pun intended!) on learning and getting "the shot"! 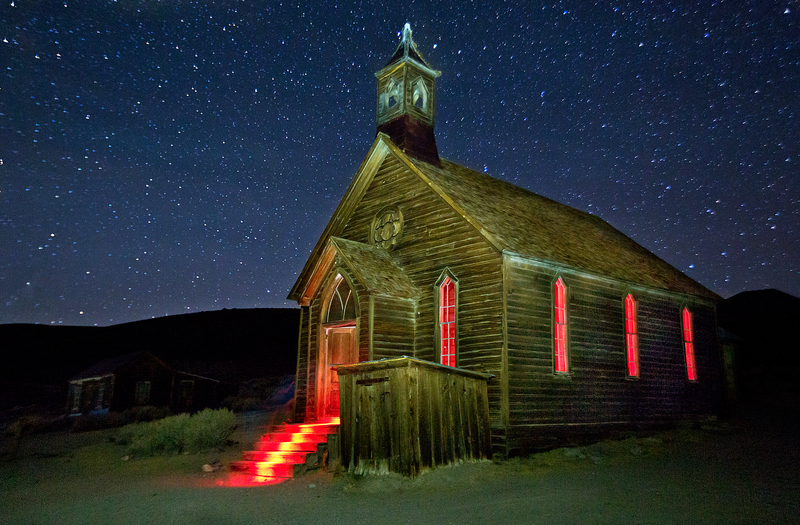 For long exposure photography a tripod is required. Required: A shutter release cord is a required tool for night photography. 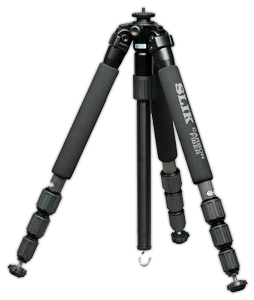 They are affordable and a great tool to have in your camera bag! We strongly suggest a version with a timer, known as an Intervalometer. They are more expensive but the benefits make it a great investment. We also strongly recommend you purchase the brand that matches your camera -- if you have a Canon camera, buy a canon remote. In our vast experiences the 3rd party brands are more affordable but also fail very easily. Required: A Mac or PC laptop with Adobe Photoshop® CS4 or later. If you do not have Photoshop® you can purchase Creative Cloud (CC) for a $10 per month subscription.